CENTRAL VOICE, based in Middletown, Penn., mourned the loss of STEVE KOZOKAS, who served as the newspaper’s advertising representative for nine years. He passed away unexpectedly on February 7, 2017. He was 48. 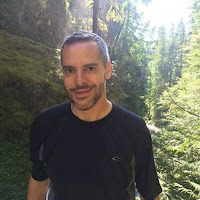 ANDREW COLLINS, a travel writer who began his career at FODOR’S in 1991, was honored at the 34th Annual Global Convention of the INTERNATIONAL GAY & LESBIAN TRAVEL ASSOCIATION, held in Fort Lauderdale, Fla., on April 6, 2017. In 1996, he authored FODOR’S GAY GUIDE TO THE USA, the first LGBT travel guidebook produced by a major mainstream guidebook publisher. His work has also appeared in countless LGBT publications. GEORGIA VOICE, based in Atlanta, celebrated its seventh anniversary with its March 3, 2017, issue. METRA MAGAZINE, based in Madison Heights, Mich., published issue #900 on March 22, 2017. METROSOURCE, serving New York City and Los Angeles, has been acquired by the DAVLER MEDIA GROUP (DMG), the integrated marketing and content company behind a portfolio of print, events and online media targeting New York-area parents, visitors and luxury consumers. The new Metrosource will debut in June/July 2017 with current editor in chief PAUL HAGEN at the helm. PRESS PASS Q, the only trade publication for those working in LGBT media, enters its 19th year of publication with its April 2017 issue. The Associated Press Stylebook has added an entry for “they” as a singular, gender-neutral pronoun for its 2017 print edition due out on May 31. The entry is already featured in the online stylebook. The Washington Post, which uses its own style guide, officially welcomed the usage of the singular “they” in 2015. For LGBT publications, the use of gender-neutral pronouns is nothing new. Cynthia Laird, news editor of San Francisco's Bay Area Reporter, says the newspaper uses gender-neutral pronouns if an interview subject requests it. The National LGBTQ Task Force, in collaboration with NLGJA - The Association of LGBTQ Journalists, and the National Association of Hispanic Journalists (NAHJ), launched a Spanish-language stylebook for journalists reporting on LGBT people. 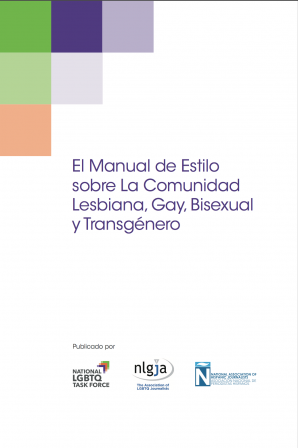 Part of a process that began in 2005, “El Manual de Estilo Sobre la Comunidad Lesbiana, Gay, Bisexual y Transgénero” includes guidance as well as a glossary of terms to use and avoid when reporting on LGBT people. The joint publication is a result of ongoing efforts to educate journalists on LGBT cultural terminology, which includes workshops at the annual NLGJA National Convention, NAHJ’s Excellence in Journalism Conference, and the National LGBTQ Task Force’s Creating Change Conference. The 2017 NLGJA National Convention will take place in Philadelphia, September 7-10, and the 2017 Excellence in Journalism Conference is set for September 7-9 in Anaheim, Calif. The 30th annual Creating Change Conference will take place in Washington, D.C., on January 24-28, 2018. Gricel M. Ocasio, publisher of Boston-based The Rainbow Times, which publishes some of its pages in Spanish, welcomed the stylebook. Ocasio believes the stylebook will end up having a positive effect on her paper's coverage. In a letter from the editor, Rick Sutton of the Indianapolis-based Midwest Eagle, responded to Indy Pride’s decision to “no longer engage with” the LGBT newspaper. 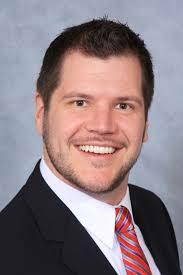 According to the Sutton, Indy Pride sent an e-mail to him and publisher DJ Doran after the Eagle made an editorial decision to investigate Indy Pride’s governance. “Our top goal: transparency,” wrote Sutton. According to Indy Pride, Inc., Board of Directors meeting minutes dated March 8, 2017, the letter sent to the Eagle was approved unanimously with 13 affirmative votes. LGBT journalists, bloggers, and other media professionals convened in Orlando, Fla., March 23-26, for the 8th annual #LGBTMedia Convening. The event was sponsored by NLGJA - the Association of LGBTQ Journalists, and funded in part by the Arcus Foundation, which works "with experts and advocates for change to ensure that LGBT people and our fellow apes thrive in a world where social and environmental justice are a reality," according to the organization's website. Also sponsoring the conference was the Evelyn and Walter Haas, Jr. Fund, a private family foundation based out of San Francisco that “promotes equal rights and opportunities with an emphasis on immigrants and gays and lesbians,” according to the foundation's mission statement. “It would be impossible to be in Orlando and not focus on the Pulse tragedy — it’s still front and center in so many of our minds,” NLGJA President Jen Christensen told South Florida Gay News. The gathering's speakers included a survivor of the massacre and a panel of journalists who discussed their experiences in covering the massacre and what could be learned from that coverage. PRESSING QUESTIONS: The Mirror of Wilton Manors, Fla.
Staff size and breakdown: All of the staff works for South Florida Gay News, not just for the Mirror — one full time editor, one full-time graphic designer, one full-time webmaster, one part-time news editor, one part-time associate editor, one part-time social media manager, about 20 freelancer writers, and one freelance designer. Executive Editor Jason Parsley: Our publisher Norm Kent. The Mirror is a reflection of our lives. Parsley: Well, introducing a product is always a challenge. We've had to find not only an audience, but an advertising base as well. PPQ: What challenge or challenges is The Mirror facing now? Parsley: We recently went from four issues to six issues a year, so juggling two extra issues has been a challenge. Also, we're revamping the product to make sure its voice is consistent. Parsley: In the near future, we are going to be revamping the layout and design of the publication. One change I'd like to see is making sure we have more original covers that do not rely on stock images. PPQ: What has been the biggest news story or stories The Mirror has covered? Parsley: We don't really cover news stories since the product is on the stands for 2 months at a time. I try to write feature stories that won't get stale too quickly. Parsley: I think most LGBT publications and journalists who work for them are activists in their own way. Parsley: Contact someone who has done it so you don't make the same mistakes.